Home Middle East Are The Beckhams Dubai’s Last Ditch Attempt At Marketing? As the global recession looms, there is no doubt that Dubai’s property market has experienced its fair share of negative publicity and losses over the last few months. The former glorified property market is today at best a market like many others with foreclosures and job cuts imminent. Recent news reports have once again put the Beckhams in the Dubai property spotlight, revealing that the Beckhams were approached by No.1 & 2 master developers’ Emaar and Nakheel. Apparently Emaar is keen to have the David invest in the much talked and written about Burj Dubai, the world’s tallest building, which has fallen in value by over 20 percent and Nakheel gave Victoria a presentation on the World Island archipelago. They have apparently “shown interest in increasing their property portfolio in the UAE”. Whether this is a mere stunt to boost falling interest levels in the Emirate state is anyone’s guess but in view of Dubai’s current economic situation it seems obvious to say the least. The latest law to be imposed since this January 2009 in Dubai comes directly from RERA who are looking to calm the the property market in Dubai. Whether their attempt to revive the market will be successful remains to be seen. Meanwhile more reports about the crashing property market in Dubai and an expected 1.1billion dirhams (272 million dollars) deficit in 2009 further bring home the seriousness of the current state of its economy. No longer is this emirate thought to be the “golden cash cow” of the Middle East. Instead, many investors have already lost thousands of dollars in savings in its stock market crash late last year and the imminent future doesn’t look very promising either. It’s all good trying to attract investors with the help of celebrities for marketing and PR, but we seem to think that today’s investor is a little more informed as to fall for this one. 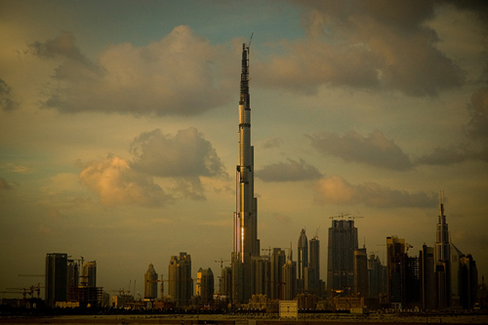 Dubai’s investment bank EFG Hermes predicts that the current slump in property prices will stay until at least 2011. Many would be buyers who have sufficient cash have decided to play the waiting game while the market is unstable and volatile. Naturally, we cannot blame them at all. Dubai is certainly one to keep an eye on.